The 2020 Kia Sportage crossover, which has been spied testing on the Nürburgring of all places, gets unveiled this week at the Chicago Auto Show. 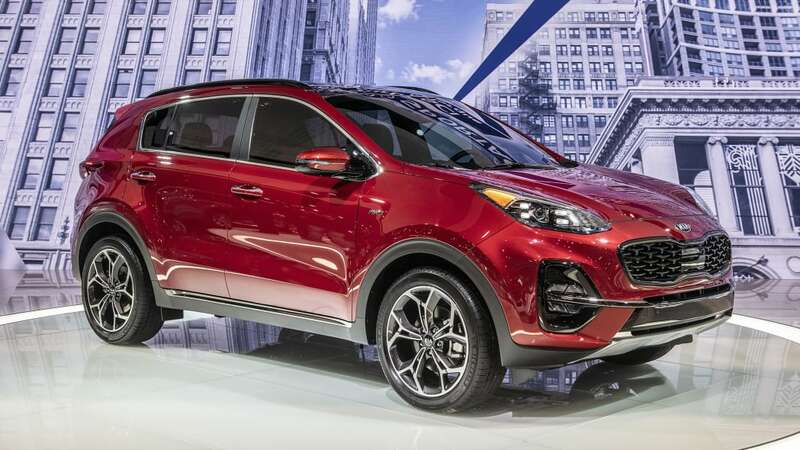 The 2020 model year marks a light visual refresh for the 2017-on Sportage generation, and among other details, it’s recognizable from updated bumpers front and rear. The headlights have been discreetly redone, offering available LED technology, and they also incorporate LED turn signals on select trim levels. In addition, the fog lights are also available with LED. The taillights also have new trim, and there’s a redesigned skid plate on both bumpers. You can also spot the 2020 Sportage from a new selection of alloy wheels in 17-, 18- and 19-inch sizes. Inside, the 8-inch touchscreen is standard, with Apple CarPlay and Android Auto capabilities. Modem-enabled telematics and navigation are optional, as is a wireless smartphone charging tray. The steering wheel is a new design, and “Sofino” leather trim is a new option. For 2020, the optional driver assists have been updated to include attention warning, lane keeping assist, high beam assist, adaptive cruise, start-stop and a forward collision assist with pedestrian detection. The cruise control radar is visible in the middle of the tiger-nose grille, below the Kia emblem. The powertrain continues as previously, with a naturally aspirated, 181-hp 2.4 and a 2.0-liter, 240-hp turbo four on offer, and a choice of FWD or AWD to go with the standard six-speed automatic. No mild hybrid has yet been announced, but we’re expecting it to appear later on — sans diesel power. As for the trim levels, there’s a new S level joining previous LX, EX and SX trims, and according to Kia, S stands for “Sporty”; it features sporty trim both inside and outside.